I couldn’t resist a giant bunch of Wakefield forced rhubarb at the market. Such a cheery bright pink, it’s too beautiful to leave behind. Of course, then I had no idea what I was going to do with such a huge amount once I’d got it all home. A dessert of some kind is usually in order, and rhubarb crumble with custard is an obvious winner. However, a call was issued to the Twitter hive mind and my reply (from @gazpachodragon, someone who I only met for the first time on Monday and who I think is amazing) came back. Make rhubarb Bellinis! As the Bellini is traditionally made with prosecco, one of my favourite drinks, it felt a bit like fate. The rhubarb is simmered in orange juice with some unrefined caster sugar, until it’s soft but not hugely pulpy. In the original recipe, Hugh uses 1kg (trimmed and cut into 4cmi-ish lengths) of rhubarb with the juice of a large orange and 125g golden caster sugar. I think I used roughly that – although to be honest, I didn’t measure it thoroughly! Simmer it until it softens, then take off the liquid. Add one part of this to three parts of prosecco or champagne and you’re all done. If you want to make it pretty, you can add an egg whitened sugar rim to your cocktail glass. 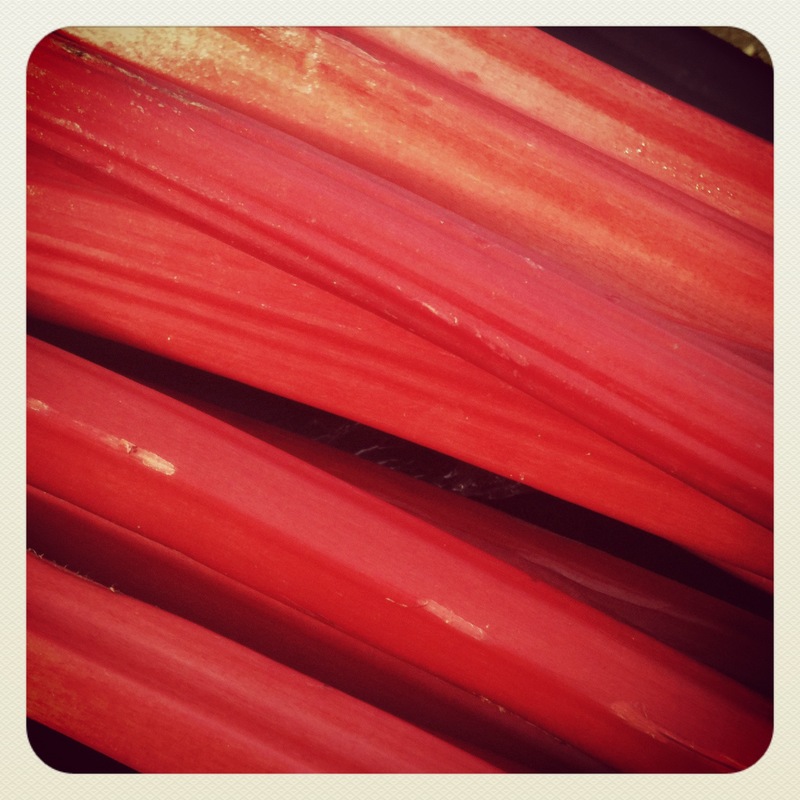 4 Responses to Rhubarb, rhubarb. Hmm they sound good, might have to give them a go at the weekend. I also bought big bunch of rhubarb last weekend and made rhubarb and ginger crumble. Got to love the versatility of rhubarb! You’re welcome, I hope you enjoy them if you do try it out!